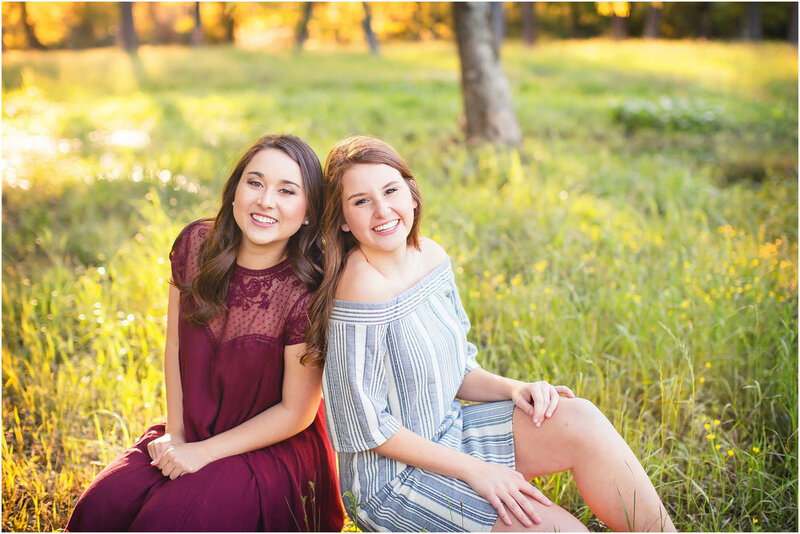 SENIOR PHOTOGRAPHY IN THE HOUSTON AREA, INCLUDING THE WOODLANDS, CYPRESS, MAGNOLIA, MONTGOMERY, SPRING, TOMBALL, KINGWOOD, AND CONROE. I live with teenagers. Several of them! I understand the significance of your senior year as well as the emotions your family is feeling as you prepare to leave the nest. We’d love for you to stay little forever! I know, GROAN. I also know choosing a photographer to truly represent your ideas and style can be tough. My promise to each senior is that their photos will be real, colorful and full of life. They will be unique to you and your personality because let’s be honest - you’re awesome! What makes you tick? Is there a color you can’t live without? What makes you happy? At this moment, what are you passionate about? Who are your best friends? When you look ahead, what do you see? These are just a few of the questions I ask my seniors. I’m not interested in taking posed, lifeless photos. I want to collaborate with you to create images that represent your vibrance, your dreams and your personality. Honest, dynamic photos that will last a lifetime! Let’s break it down and arm you with a list of why choosing spryART, for your senior pictures, is just smart. Hint: You can use these points when talking to your parents. Haha! No, seriously. My style and my vision will create senior photos that you, your family and your friends will ogle over! one. loving the best version of yourself. Have you heard of Glamour shots? Ask your parents. When you look back on your senior year of high school, do you want to see an overly made up, fake version of yourself? I’m going to say no … no, you don’t. Your senior year of high school is such a pivotal and fun time. You are on the cusp of adulthood and new adventures. I want you to remember YOU. By taking honest and beautiful senior portraits you will feel confident and empowered. I have to fess up … I do not like the word portrait, but I do really like one of its definitions - engraving of a person. We’re creating a lasting mark for you to share with your family and friends. These images will offer a window to view exactly the way you were, in the twelfth grade. That’s a gift! It’s all about location, vibe and style. The Woodlands is where I take many of my senior sessions, but I love to travel throughout the city of Houston. We will not be tied down to a single location for your photos. My senior photography sessions are designed to include your interests, should you have hobbies that are an important part of your life. Been riding horses since you were four? Let’s do part of your session at the stables! This does not mean that every picture will be equestrian in theme, but we definitely want to include exactly what you are passionate about. Maybe you are a dancer? Bring those pointe shoes and tutu! Love music? Together, we will creatively collaborate and find a way to incorporate the melody that is such a big part of your life. Your interests make you interesting. We can use these activities to celebrate the natural and beautiful version of YOUrself! Your style is a way to express who you are without saying a single word. There are endless ways to showcase your personality through clothing, accessories and color. Also, by how you wear your hair or the makeup you choose or do not choose to apply. All of it tells your story! Not sure how? I will help you. Through the years, I have had the pleasure of getting to know so many seniors through the styles they choose to showcase during their shoots. When we talk, we’ll make a style plan - allowing you the freedom to make outfit and accessory selections that represent your vibe. I know what works and what doesn’t work in great, images. You’d be amazed at how the perfect hat can MAKE a photo. Your confidence and creativity inspires me to capture gorgeous images - let’s do this! Youth is a wonderful thing. Sadly, this might be the last time your parents organize and fund professional, individual photos of you. You’re cruising towards the adult world my friend. By investing in senior pictures, you and your family are documenting your youthfulness. That precious moment before you’re officially an adult. Your family has been taking photos of you to take record of your growth for many years. Look at this session as a celebration of your childhood and a ‘look how far I’ve come’ moment! They say, ‘Time spent with family (and friends) is well spent’ - I wholeheartedly believe this. Why not use your senior picture session as a time to spend with those you love. Have you thought about incorporating your friends, siblings, or cousins into your pictures? These are some of my favorite shoots! Some of you are leaving home and time together is simply precious. Use this day as an opportunity to create fun memories - not just the photos, but the moments. The getting ready together, traveling to and from together, maybe sharing a meal together before or after the session - make a day of it! Got questions? I’ve got answers! I've seen some night portraits on your site. how do those work? does it cost extra? I love shooting in that dusky time right before sunset when the sun is setting and the sky turns those awesome shades of pink and purple, and right after sunset when it has gotten dark! We typically work night pictures in after a regular session. The best night portraits are done in areas where there are interesting and colorful lights in the background, which are typically found in more urban areas. Since I typically do night portraits at the end of a regular shoot, there is no additional cost, and they count as part of your regular session. Night portraits do require special equipment, so you would need to ensure we have discussed and planned for some after-dark images. Night portraits are fun and totally unique and can help set your senior images apart from the crowd! Do you include hair and makeup? what if i want to do my own? Hair and makeup is absolutely available if you want it. I have partnered with some of the best hair and makeup artists in The Woodlands. 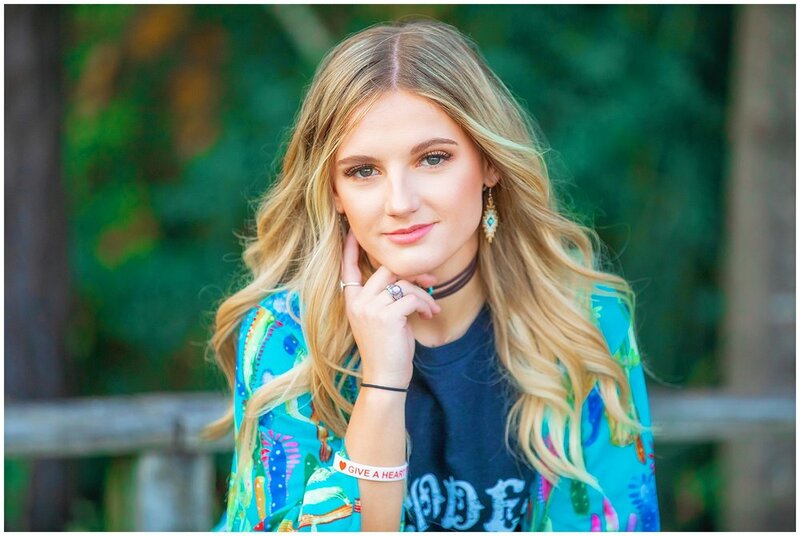 Senior pictures can be stunning without professional hair and makeup as some seniors like to do their own and are very talented in that regard, and some prefer very little makeup (or none!). And, that’s OK! I do not require it and have taken some absolutely breathtaking images of girls without a stitch of makeup on. How long are senior portrait sessions? This depends. Will we be traveling to areas just within your city or will we go other parts of Houston? Senior photography sessions do not have a time limit, butI will typically shoot for about 1.5-2 hours. I have done up to four locations in one shoot. Yes! Although the majority of my senior photography features girls, I have and enjoy photographing senior boys with the same philosophy and energy. Can I bring a friend or sibling? YES! I love it when friends/sisters/cousins share sessions. This can work in one of two ways. We can structure the session so that we do a few shots of you with your friend/sibling/cousin, then spend the majority of the remaining time photographing you individually, or we can split the session between yourself and friend/cousin/sibling. If we do split a session, just remember you will not have as many individual shots as you would if you were not sharing a session. What's the process? How much do senior sessions cost? Pricing is the same for senior sessions as it is for family & kid sessions. When you reserve your session, you pay the initial creative fee of $350 that is due up front to reserve your session. This does include a $200 product credit that you can use when it is time to purchase products. The other $150 is for my time spent shooting and editing. The creative fee that you pay up front does NOT include any digital images, as those are considered separate products. Some clients like to have digitals, while some prefer tangible products, such as albums, graduation cards, canvases etc. Other clients like a combination of digital and tangible products. Choose what works best for you! Two to three weeks after your session, you will be sent a link to view your gallery. These images in your gallery have been culled and edited (color enhancement, blemish removal etc). Once you view your gallery, we begin the ordering process. Most clients like to have an ordering session at my office, so they can see all of the products and sizes while they are ordering. While this is highly recommended, it is not required. Please note that when it is time to purchase products, there is a $500 minimum. spryART offers all kinds of amazing products, from canvases, to albums, to graduation cards, to prints on metal. I highly encourage anyone interested to stop by my office to look at the products in person sometime before the session.